Our resort is located one quarter mile off of the main highway and within walking distance of downtown Sister Bay but removed from the hustle and bustle. Choose from a wide variety of accommodations including water view rooms with private balconies, stunning suites with gas fireplaces and 2 person whirlpools or our one of a kind Penthouse Suite. The Country House Resort offers 46 attractive rooms and suites and 10 different room types to meet a variety of tastes and budgets. 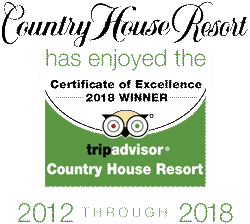 This award-winning resort invites you to relax, unwind, and enjoy its unique blend of stylish accommodations, luscious gardens, nature trails, and delightful Door County hospitality. The majority of rooms feature private water view balconies and all allow you to enjoy our peaceful, secluded location, and complimentary resort amenities depending on the season. Accommodations include single rooms or stunning multi-room suites with gas fireplaces and whirlpools or our one of a kind Penthouse Suite. Ten different room types meet a variety of tastes and budgets. This award-winning resort invites you to relax, unwind, and enjoy. The majority of rooms feature private water view balconies and all allow you to enjoy our peaceful, secluded location, and complimentary resort amenities. Our Whirlpool Water View rooms are perfect for a romantic get-a-way or relaxing escape. Enjoy the breathtaking view from outside on your private balcony or relax inside with a soak in your in-room whirlpool. Rejuvenate in the large body spray shower with rainfall showerhead. Our King Water View rooms are among our most popular with spacious rooms well suited for a couple’s getaway. Relax on your private balcony and look out over the peaceful waters of Sister Bay. Our Queen Water View rooms are our most affordable water view accommodations. Enjoy all that the resort has to offer and the stunning views from your private water view balcony. With 2 Queen size beds this room offers flexibility plus that awesome water view of Sister Bay. Great room for those with older children or an affordable girls' getaway. This is one of our most affordable room types, but still with plenty of in-room amenities to enjoy. The Queen Pool View is a small, single hotel room that opens on to a common deck overlooking the outdoor pool area. This is our most affordable room, but comfort still rules here! The Queen Pool View is a small, single hotel room that opens on to a common deck overlooking the parking area. Perfect for those on the go, or a budget, that want a simple room with convenient amenities to come back to each evening. This one-of-a-kind 2 bedroom suite stands out in Door County as one of its most unique and thoughtfully appointed accommodations. The stunning birds eye view of the waters of Sister Bay and the Country House Resort grounds will leave you breathless. Our Carriage House suite is a favorite among repeat guests and is our largest with Specialty Room amenities. The room is elevated which allows the balcony to overlook the yard and tree tops with glimpses of a water view. Our 2nd Floor Water View Suites are most often chosen by a single couple for the second floor bedroom and full bath in a loft area overlooking the great room, add in a water view through the dormer window, gas fireplace and two person whirlpool and they are perfect for an awe-inspiring getaway. The additional space also makes them a great option for two couples or parties up to 6 people. Soak in the two person whirlpool tub while enjoying the ambiance of the gas fireplace and the view through the balcony doors. Prepare hors devours or a light meal in the wet bar area and enjoy the privacy and each others company. Complete your day on the private balcony gazing at the stars and the moon on the water. King or queen bed with pillow top mattress and feather pillows let you sink right in and relax in comfort. Small refrigerator, microwave and coffee service, hair dryer, plush robes. Our premium soaps and shampoos provide the luxurious comfort you crave.